Hortobágy is the largest continuous natural grassland in Europe. The Hortobágy National Park, established in 1973 is the country’s largest protected area of 82 thousand hectares. Hortobágy has outstanding landscape features and is a unique example of the harmonic coexistence of people and nature based on the considerate use of the land, maintaining great biological variety in respect of species and habitats. However, at first sight there is nothing here. If you look around, the most conspicuous thing is that your eyes are not arrested by any buildings, hills or mountains. The mirage can be a spectacular sight on hot summer days, where you see something that is not in fact there. 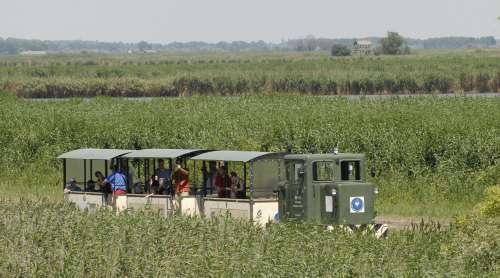 A major part of the area of the National Park is formed by natural habitats, alkaline grasslands, and meadows, smaller and bigger marshes enclosed between them. Some artificial wetlands covering a much smaller area are of considerable importance: these are the fishponds, situated on 6 thousand hectares. The marshes and fishponds are breeding habitats of birds and important sites for the migrating birds. So far the appearance of 340 bird species has been registered in Hortobágy, of which 160 species nest in the National Park. It cannot be doubted that one of the most spectacular sights is the migration of the cranes in the autumn. Tens of thousands of Cranes, which is also the symbolic bird of the Park, can be seen every October as they fly above the grasslands to their overnight roosting places. The Hortobágy National Park has been inscribed on the World Heritage List by UNESCO on the 1st of December in 1999 in the category of cultural landscapes, since the Hortobágy Puszta have been used by humans for grazing their domestic animals for more than two millennia. A large number of tough, undemanding local breeds can be found here: the Hungarian Grey Cattle, Water Buffalo, Raczka Sheep. Less ancient species are the curly bristled Mangalica Pig, which gives good bacon, and the Nonius horse. The visitors are amazed at the skills of the horsemen and at the sight of the galloping herds of horses. The herdsmen living on the grasslands do not have permanent buildings for themselves or their animals. Most of the ancient herdsmen’s buildings are very simple but also practical, made chiefly of reed. The sweep-pole wells for watering the animals have become symbols of the Hungarian grasslands. Inns were built 10–12 km apart along the commercial roads crossing the plains, where travellers could rest and the herdsmen turn in for the night. Tourists still like to visit these inns where they can taste the excellent herdsmen’s dishes and other specialities of the cuisine of the Great Plain. It is worth getting information on the areas open for visits at the Visitor Centre of the National Park, before setting out on your journey. March, April, November: on weekdays from 8 a.m. to 4 p.m.
May, October: on weekdays from 8 a.m. to 4 p.m.; at weekends from 10 a.m. to 4 p.m.
June: on weekdays from 9 a.m. to 5 p.m.; at weekends from 10 a.m. to 5 p.m.
July, August: on weekdays from 9 a.m. to 6 p.m.; at weekends from 10 a.m. to 6 p.m.
September: on weekdays from 8 a.m. to 5 p.m.; at weekends from 10 a.m. to 5 p.m.
23 October, 2-3 November: from 10 a.m. to 4 p.m.
17-20 August: from 9 a.m. to 6 p.m.
July, August: on weekdays from 9 a.m. to 5 p.m.; at weekends from 10 a.m. to 5 p.m.
30 March-1 April, 1 May, 18-20 May: from 10 a.m. to 4 p.m. 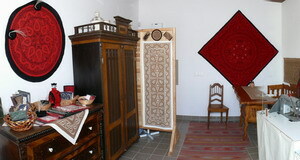 The mission of the "Craftsmen's Yard"is to unit craftmen of Hortobágy andthe geographicaly connecting regions under the brand of World Heritage title of Hortobágy. 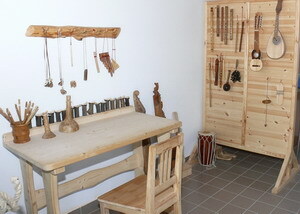 Somecrafts and workshops of the "Craftsmen's Yard"
15-31 March, November: from 10 a.m. to 2 p.m.
April, October: from 10 a.m. to 4 p.m.
May, June, September: from 9 a.m. to 5 p.m.
July, August: from 9 a.m. to 6 p.m. The Puszta Wild Animal Park based on the natural conditions of the Hortobágy National Park is a perfect place for the demonstration of the ancient wildlife of the Hungarian Puszta. You can watch wild animals lived here before the human history, but the spread of civilization drove them to extinction: Wolves, Jackals, Przewalski's Horses, Vultures, Pelicans, and other wild animals still living in the protected areas. 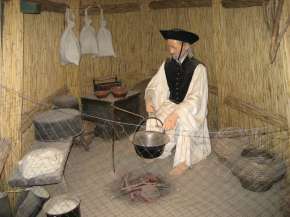 A well illustrated exhibition provides background information on the various species. 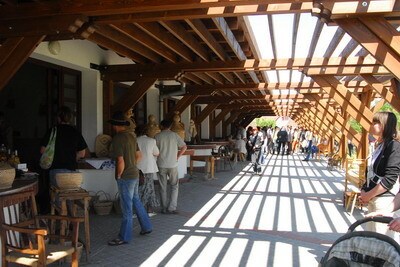 The wildlife park offers nature programs, where all generations can have enjoyably pastime activities. 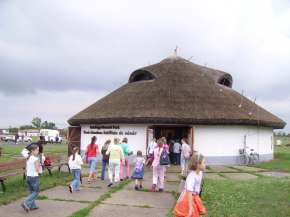 The Hortobágy Wild Animal Park can be reached only by the car of the national park. 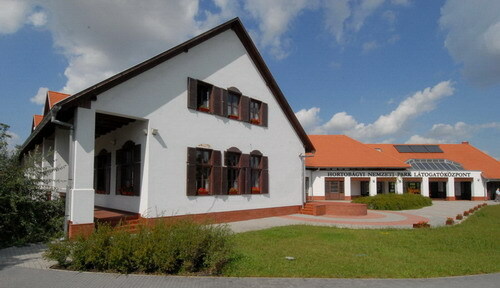 The car starts from the parking place of the Herdsmen Museum (Pásztormúzeum). April - October: from 10 a.m. to 4 p.m.
May, June, September: 10 a.m. to 5 p.m.
July, August: from 10 a.m. to 6 p.m.
Watch-tower and burial mound "Szálkahalom"
Guidance (special birdspecies) is only available with previous registration by e-mail (info@hnp.hu). 300 year-old stud with Hungarian breeds. Horse-drawn carriage drive into the puszta, visiting famous Hungarian rare breeds such as grey cattle,Nonius horse, water buffalo, racka sheep and woolly pig. 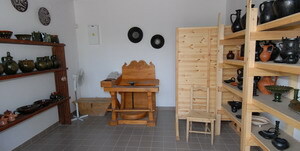 Visitors can get an insight into the traditional life of local herdsmen. 15-30 March: from 9 a.m. to 5 p.m.
31 March - 31 August: from 9 a.m. to 6 p.m.
1 September-26 October: from 9 a.m. to 5 p.m.
27 October - 17 November: from 9 a.m. to 4 p.m.
1 January - 14 March, 18 November - 31 December: on Saturday and Sunday from 10 a.m. to 2 p.m. The water trail can be reached by a small ship from the lake end of Poroszló village. 16 June - 31 August: every day from 10 a.m. to 6.30 p.m.